Here is one on ebay……. SPECIAL MEDALS FOR THE CHILDREN. A meeting of the Committee was held at the [ Ilfracombe ] Town Hall on Saturday evening...….there remained a balance of £51 6s. 10d., and this, it was proposed, should be spent in presenting each child with a sixpence of King Edward. 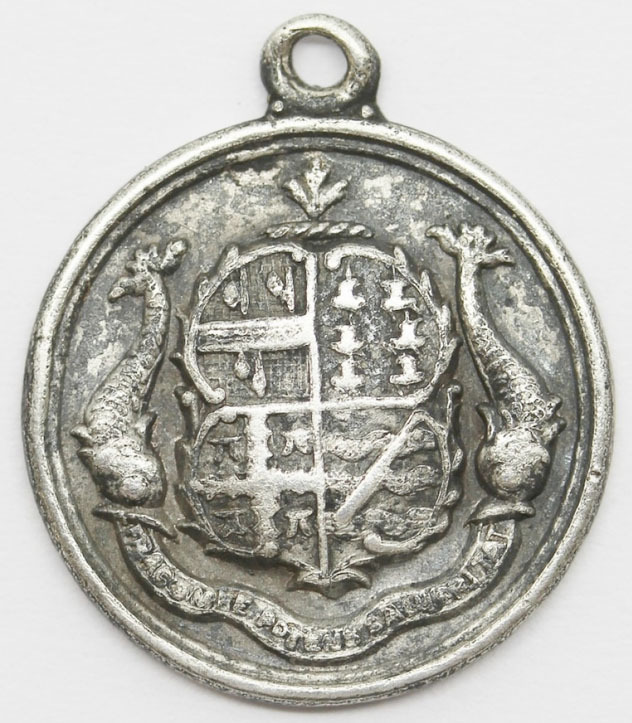 A discussion ensued as to the form the gift should take, and Mr. Matthews proposed that there should be a silver medal made, with the Town Arms on one side and the King's head on the other, to be of the same size as the sixpence. - Mr. W. Day seconded this. - Mr. Cole thought it would cost too much for their funds, but the Chairman said it was far preferable to a coin, if they could afford it. - Mr. Thomas said that it might cost 1s., but a token of cheaper metal might be got for 6d. - The resolution was eventually amended in favour of a medal with the Town Arms, and a short inscription on the other side. - On the motion of Mr. Foster, seconded by Mr. Knight, it was agreed to spend £50 on the 1,600 medals required. It was then decided to invite from all those in the town holding a silver-plate licence, particulars of the best medal to be supplied for the money (7½d. each). 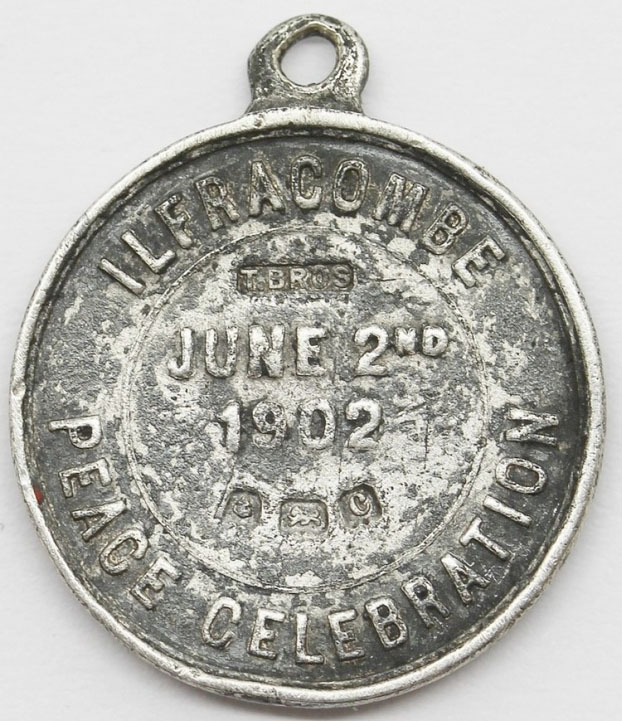 Each medal is to be of hall-marked silver, with ring at the top, to bear the Town Arms on one side, and on the other the words, "Ilfracombe Peace Celebration. June 2nd, 1902," to be not less in size and weight than sixpence.